Many small and medium sized enterprises still use only their own servers and do without any cloud services. Others outsource everything and depend entirely on public clouds. Both approaches have their weaknesses when it comes to efficient data management and security. The elegant solution is a hybrid cloud. It combines the benefits of both methods for data storage, backup, team cooperation and – very importantly – data security. Our working habits are becoming more and more mobile. This has lots of benefits but it brings complex challenges too, especially for IT services. Many businesses have understandable reservations about storing data in clouds. Which system can they trust? Where are applications and data stored most securely? 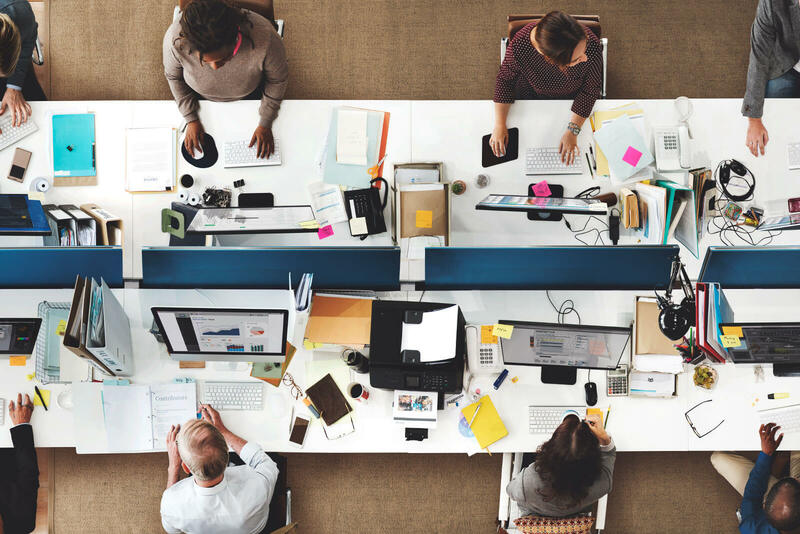 At the same time, everyone wants teams that work closely together but not always in one office to be able to collaborate efficiently and easily access important data and information in their workflow. Solutions now exist that make social networking, co-authoring and instant messaging more effective at a local and global level. These services structure projects around teams and are agile in adapting to a company’s development and specific needs. Close compliance with the General Data Protection Regulation (GDPR) is of course assured. Because business processes are faster and more automated as digital transformation progresses, the volume of data is growing exponentially. The capacity of physical infrastructure needs supplementing and expanding considerably. Virtualisation concepts and cloud services are unavoidable for anybody who wants to make their IT infrastructure efficient for the future. 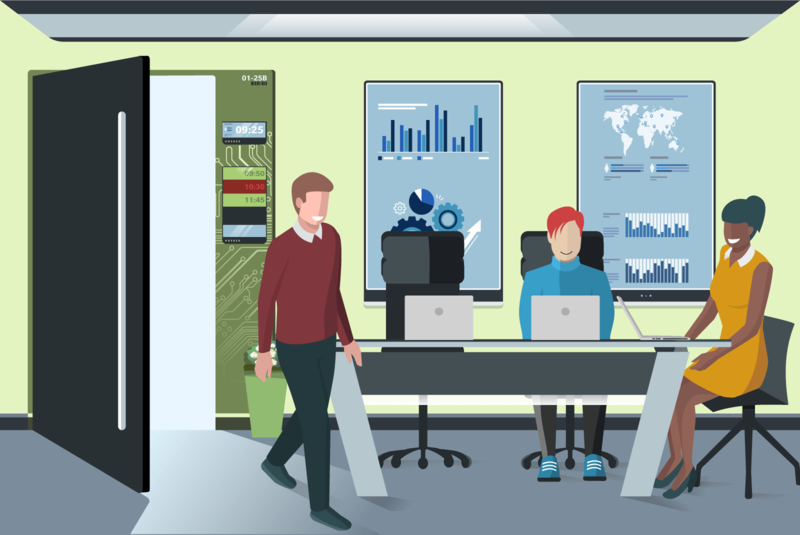 The key is to seamlessly protect infrastructure, data and of course the identity of employees by means of security systems in managed IT services. One major factor is the way storage and backup management is handled. It is important for companies to be able to see and individually configure what data is stored, and where. What should they keep on their office servers, and what should be sent to the cloud? Potential losses as well as system failures and the associated costs have to be minimised. Who wants their company to grind to a halt because business-critical data has been irretrievably lost through human error or malicious attacks? Operative business has to run reliably. One factor that should not be underestimated, aside from the ongoing digitalisation of communication and working processes, is the change which a new generation of Millennials bring – the first Digital Natives. You will have seen how Millennials want to try out more and are agile and mobile. This generation needs a working world adapted flexibly to their requirements. Cloud-based team collaboration tools such as ones based on Microsoft 365 are recommended. They allow anybody to work from anywhere and access the latest versions of a document. Employers who ignore this will quickly experience problems attracting new staff. 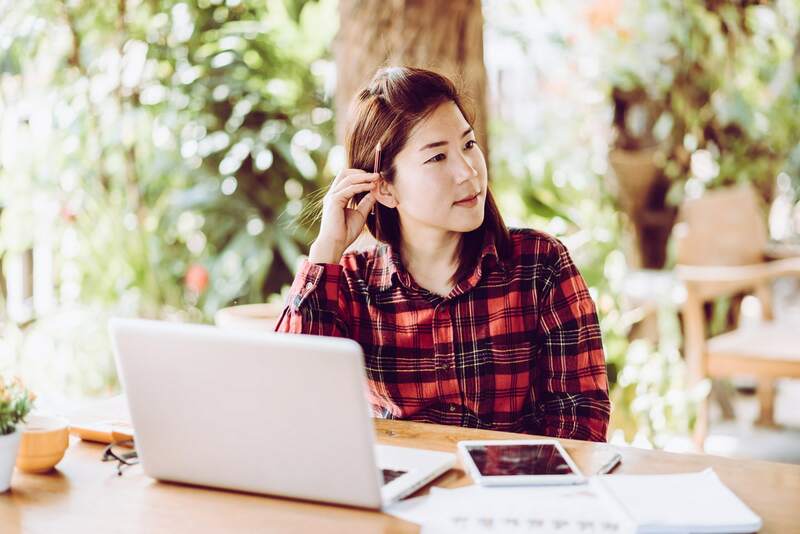 Back in 2016, management and strategy consultant Deloitte reported in its ‘Millennial Survey’ that 75% of Millennials want to work without being tied to an office. Many companies are already responding and transitioning to IaaS products (IaaS = infrastructure as a service). Russian software company Kaspersky Lab performs a global Corporate IT Security Risk Survey among IT decision-makers each year. 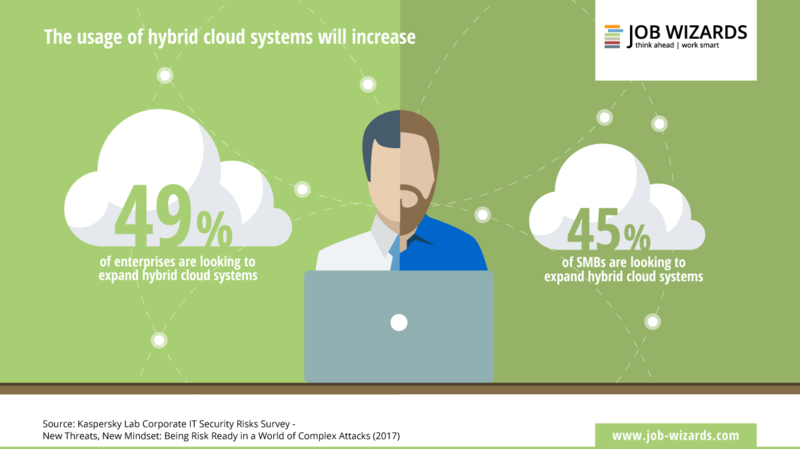 This year, 6614 insiders from 29 countries took part and one of the findings was that 66 percent of large businesses and 49 percent SMEs intend to keep expanding their hybrid cloud landscapes. Small and medium sized businesses are therefore increasingly seeing the potential of managing their data using a mixed approach – at home in the company, in private clouds and in public clouds. A side-effect of including cloud services is that it reduces costs. Charging is usually done on the basis of usage. Excess capacity and unused resources are a thing of the past. So which approach should I choose for my company? In reality, few people want to become big IT experts and talk endlessly about systems, strengths, weaknesses, opportunities and risks. People want to dedicate themselves to their core business, and for that they need solutions that keep their minds clear for what’s really important. The aim is to combine security and flexibility. What do you tend to prefer? Keeping everything at the company so that you can solve every problem yourself in-house? Sending all your applications and data into the Web to stay free and flexible? Both? Does it liberate you or does it give you sleepless nights? This is where you will decide what the future of cloud computing can be for you. 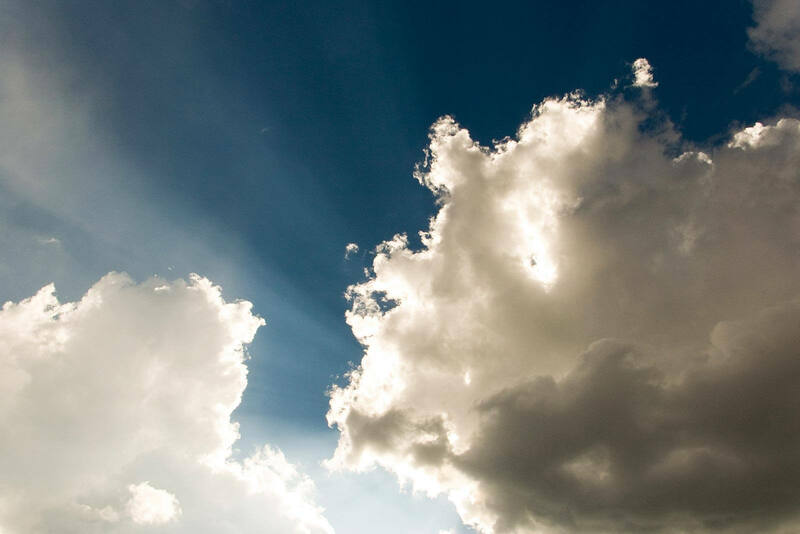 With a hybrid cloud service, you can combine and jointly use the benefits of two philosophies. One thing is for sure: SMEs will not be able to avoid looking at how their processes, files and applications can be managed using smart, economical and secure solutions. Hybrid clouds may be the forward-looking way even if you are not an international corporate business player. Public clouds are offered by freely accessible providers and are accessible to anybody via the Internet. They range from web mail services all the way to services like Google Docs, which stores documents created using its Office package in the Google Drive file hosting service. Many companies prefer to use their own IT infrastructure and keep close control of IT security and data protection. This means the server is at the company premises and accessible only to their own employees. Nevertheless, users can utilise the benefits of clouds using their Web browsers, meaning things like installation- and maintenance-free IT applications and a scalable IT infrastructure. When both forms are used simultaneously, data-protection-critical applications and data remain stored in the company’s own infrastructure, while certain other services simply run on the Internet. What is important is to clearly define and classify all of the data that has to be processed. Are less common. They refer to an infrastructure used jointly by more than one company, such as for a particular project. Defined users have joint access to certain services that are not available to the public.